Here is the live stream of Qualifying Practice at Silverstone. 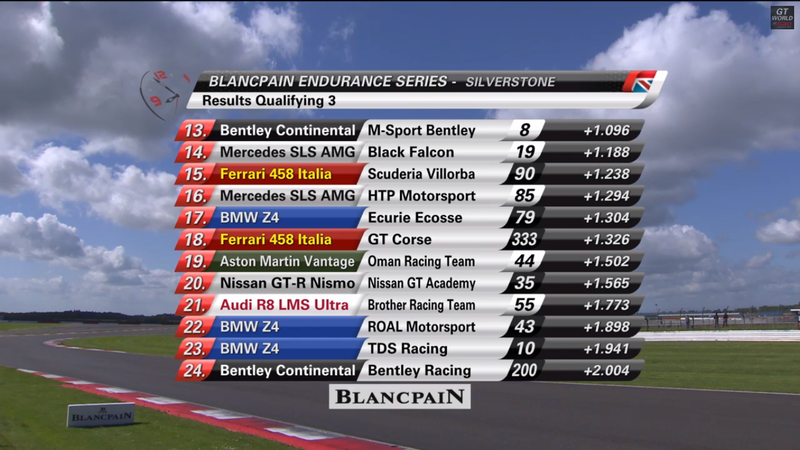 There are actually 3 Bentley cars racing. The two cars from M-Sport Bentley. Then one from Generation Bentley Racing. Post by Bentley Drivers Club. 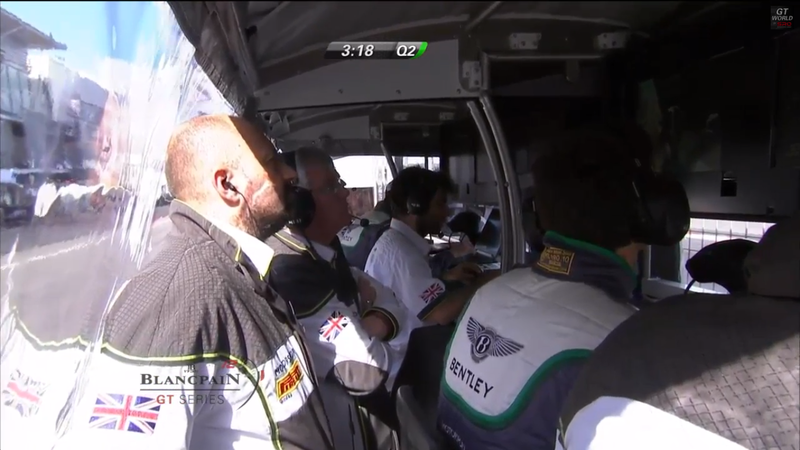 What is cool about the Generation Bentley Racing is that it has the Bentley Drivers Club logo on it. 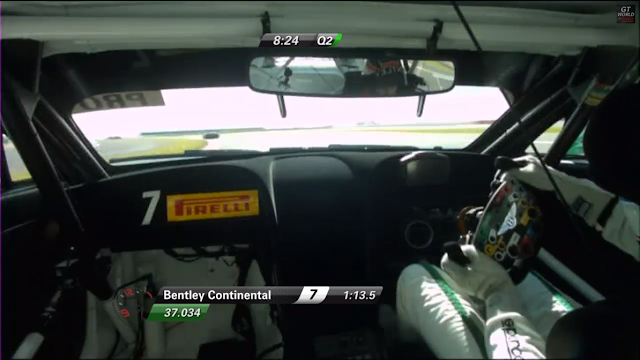 The Generation Bentley Racing are customers of M-Sport Bentley who make the Bentley Continental GT3. Go on buy one and become a gentleman racer! Second part of quali over. 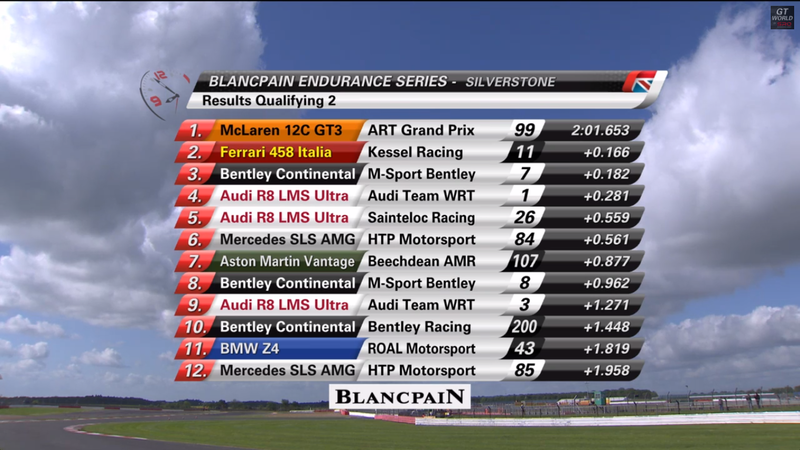 @AndyMeyrick sets 3rd quickest time, 0.18 secs behind fastest. @thereal_JDA sets 8th fastest time. 20 mins left. 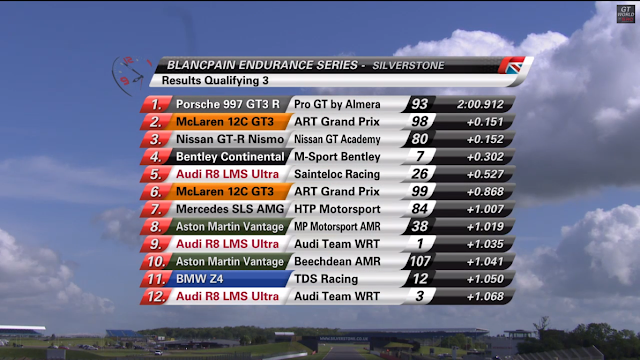 And the results for Qualifying 3. And with that, the red flag is out and the session won't be resumed. A shame as we were getting quicker and quicker! Good luck Bentley boys in the race later. Awaiting confirmation but #Car7 should be starting P4.